It is your chance to be EXTRAordinary. I have been asked to write a blog about how I have come to terms with a sudden change in fortunes with respect to my health, and amazingly that change in lifestyle is now some 20 years ago. The news i received then could have been better, but it could also have been a lot worse. If you are faced with a diagnosis of a serious illness without any reassurance or guidance to allay your fears it is easy to become down about the future. I was not given any information, or told about support. After my diagnosis, my head filled with thoughts, and emotions that I didn't know how to cope with. I would build walls in my mind to keep them out, but the bigger the walls the larger the thoughts. We all deal with stress in different ways. Many people just avoid it by burying themselves in work. Some turn to their friends, or their family for support. Other people hit the bottle, or start taking drugs. I opted for the male solution of going off into my cave to try and work it out. Since my diagnosis, I have been on a journey of discovery, and have met many amazing people, and learnt so much that I believe has enriched my life. I decided to read about people who had faced their own challenges. I found a common theme in all these stories. The authors all started by looking for answers out in the world, yet ultimately they found their answers inside themselves. We live our lives quite differently, of that I am quite sure. And it depends upon the way, we are taught as we mature. We all make decisions every day; we want to know what the right thing is to do in all walks of life. If somebody could tell us how to do the right thing at all times, it would be a tremendous gift. We enter life when we are born, with a sparkle in our eyes. And take in each and every form, as a wonderful surprise. There is an old Indian fable that deep inside each of us when we are born is a pristine diamond that sparkles through our eyes. Babies feel as if they are part of everything, and express pure emotion. They Laugh, they cry, they laugh again and are totally in this moment. They learn by copying. If you perchance to look into, a new born babies eyes. 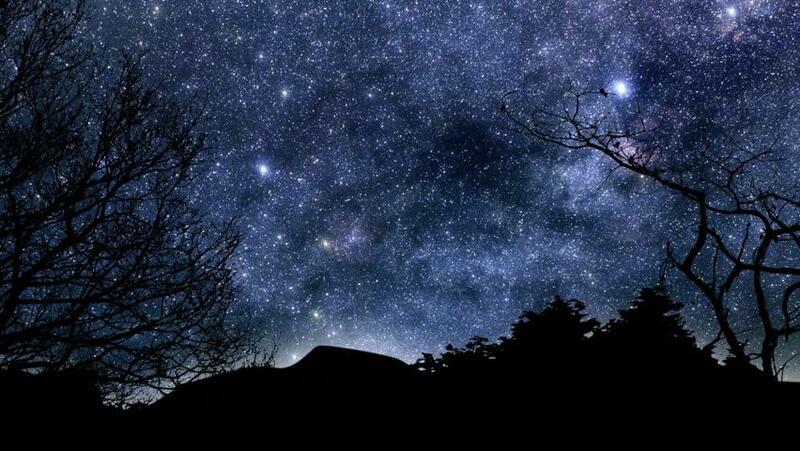 You may perceive a million stars, lighting up the skies. It’s as if there’s a connection, to the Universe above. That floods us with the innocence, of unconditional love. As we get older we learn from our parents and our peers to make judgements and it is these that become the values that we filter our lives through. We become fearful of expressing negative emotion, and just stuff them down inside us. Slowly our diamond gets lost beneath our emotional baggage. That’s really no laughing matter. That ever changing natural force which may sound quite bizarre. Makes that baby part of everything, that’s really “who you are”. The peace that we seek is always here, right here, right now, in this moment. No thought of past, and no thought of future. Your gift of joy is being in the present. It’s that state some call Nirvana, while others call it bliss. When captured by natural beauty, or lost in loves first kiss. I gained a greater appreciation, and understanding of the present moment. By that I mean not being lost in thought, not being distracted, not being overwhelmed by difficult emotions, but instead learning how to be in the here and now, how to be mindful, how to be present. It’s where time is just a concept, when everything just flows. Lost in your favourite music, or reading or writing prose. • Being with nature, or a spiritual connection. Nowadays Sportsmen call it focus, or “being in the zone”. No words alone can ever describe, the power that you feel. It’s up and down, or black and white, a constantly moving field. We use words to understand and communicate everything. A piece of music can have a different emotional response for different people based on their memories. Words have a similar effect as they can limit us, or inspire us. As babies we would fully feel, each emotional state. Moments later the emotions gone, and no story to relate. It really makes no difference, be it fear, or rage or laughter. For once it’s been fully expressed it has gone for ever after. Laughter is jogging for the soul. It will clear your mind, lift your mood, and help you address your problems more positively. of rules and judgements of our Peers, without another thought. Whether you realize it or not, you’ve got a certain internal “set point” where you think your capabilities stop in any given arena. These set points can vary according to the intensity of your beliefs. Often our limiting beliefs hold no substance whatsoever. Then take on board their values, believing they are true. It’s bad enough when other people set limitations for us, but the problem is when we begin doing it ourselves. No longer do we need others to deflate our confidence; we can do it more effectively ourselves. For most of us, it takes only ONE negative experience to start a landslide. It doesn’t usually happen quickly but gradually decreasing belief in ourselves. Your limiting beliefs can be unformed, and changed. They may feel like “facts” but they are simply thoughts. The first one I remember is, “Big boys just don’t cry”. Then all the way right through my life, I’ve carried round that lie. When faced with any trauma we become frightened to express emotions and get so distracted that we're no longer present in the world in which we live. That's really not how it has to be. I’ve choked back all those feelings into bottles full of tears. Some of them I have carried round, for over fifty years. Society’s tendency is to focus on the negative. We start conversations by moaning and are constantly affirming to ourselves the things that we don’t want. Our mind creates images of us how we don’t want to be. My sparkling eyes further hidden by each and every issue. So much easier in hindsight, if I had used a tissue. Our mind processes all the information from our senses and based upon our beliefs and past experiences makes judgements about everything. We rely upon our mind to be happy, content, and emotionally stable. We do anything in our attempts to find peace, yet when was the last time you did nothing for ten minutes, totally undisturbed? They say life is like a mirror, shining back to you. So whatever you are focussed on, you see and believe as true. They translate the “could happen” from the information into “will happen” as they take ownership of the misconception. If a person chooses to call themselves a sufferer, they see their world through the eyes of a sufferer. Please be aware of the vast difference that can be made to a person’s life just by the words used. Life is not a destination that you travel to. It’s where you are on the path, so just enjoy the view. When one door closes another one opens. Some people spend all their time lamenting the life they’ve lost and forget to live the life they have. To love ourselves we must look at ourselves through loving eyes. Become best friends with your reflection in the mirror and treat everyone as you would like to be treated, and your world will change. The key to life is Gratitude. It’s the door to happiness. Be thankful for the little things then you will see the best. Gratitude led me to fall deeply madly passionately in love, in love with life. It is my experience that people make more of their lives when they feel reassured and optimistic, rather than worrying themselves sick about things that may never happen. Life is by nature unpredictable, and constantly changing. To survive we must also be prepared to change. Happiness is always here if you choose to open your heart and let it out. Learning from my own experiences, I feel that the first thing people want to do when they encounter disease is to put a name on it, so you know what you are up against. However what do you do when you have been labeled, deny it, give in to it, or fight it? Like most people I started on this journey thinking that your health is the most important thing that we possess. I have now changed my view. It is all about choice. We walk this road but once, no second chances. I choose to make the most I can of my opportunities, and I invite you to do the same. It is never too late to change. This is potentially a defining moment in our lives. It is your chance to be EXTRAordinary.